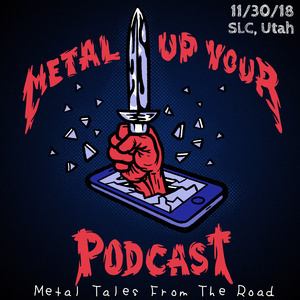 On this edition of Metal Tales we check back in with our friend and patron Chris Yerges to talk about getting a picture and a drumstick from Lars, the culture of the die hards, what a Legacy member is, the Unforgiven Experience, Metallica in general and, of course, the setlist. For those of you who don't know, Chris is the dude who talked about MUYP at a recent Hardwired Experience in Charlotte, NC and is taking us on an adventure out to Northern California to have dinner with Torben Ulrich! Enjoy!